The Buyer: Mr. Stephen Collins was eager to relocate to Florida from the Northeast. After a successful corporate career including international assignments in the healthcare industry, he wanted to fulfill his dream of business ownership. 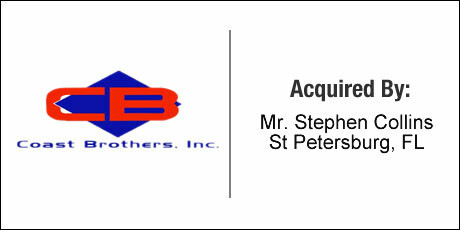 The Seller: Coast Brothers, Inc. was a family owned business and a leading wholesale distributor providing over 1000 items for the hospitality, janitorial, healthcare, paper, industrial cleaning, sanitation and maintenance, systems and services. Coast Brothers is a master distributor for a number of well-known manufacturers, and ships throughout the US and the Caribbean. The Close: The business owners needed a quick and confidential transaction in order to dissolve a family partnership. To ensure agreement from all of the equity holders a premium price was required. DVS found the buyer, negotiated a transaction that structured the necessary purchase premium in a manageable format to be agreeable to all parties in addition to sourcing and securing financing. DVS also assisted the buyer in retaining additional advisory support when his network did not produce qualified legal counsel.